Powerful antioxidant to support cellular health by reducing oxidative stress. 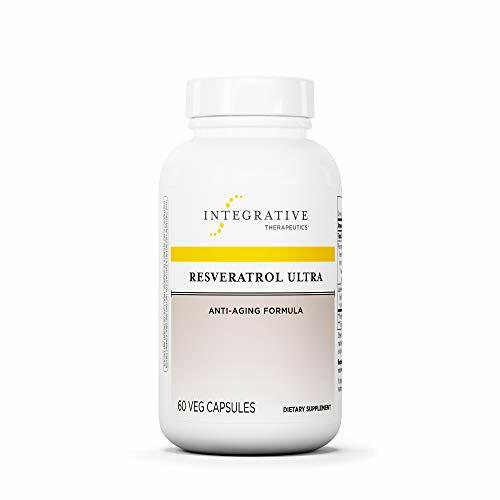 Resveratrol Ultra contains pure trans-resveratrol, a plant compound which research suggests can activate siRT1, an enzyme associated with longevity. It also counters the effects of free radicals, speeds up cellular repair, and supports cardiovascular health. Resveratrol Ultra also contains rutin (quercetin rutinoside), a bioflavonoid from Japanese sophora (Sophora japonica) flower bud, which is converted to quercetin in the body. Research suggests that the combination of quercetin and resveratrol provides more potent support for the immune system than either compound alone. Integrative medicine is a collaboration of safe and effective therapies from conventional and complementary medicine. Integrative practitioners look beyond symptoms to identify and address the root cause and work hand in hand with patients to develop a plan of care. This collaborative, wellness-driven approach often includes clinical nutrition - both through diet, and nutritional supplementation – and that’s where Integrative Therapeutics supplements come in. Also available in soy-free softgels. If you have any questions about this product by Integrative Therapeutics, contact us by completing and submitting the form below. If you are looking for a specif part number, please include it with your message.